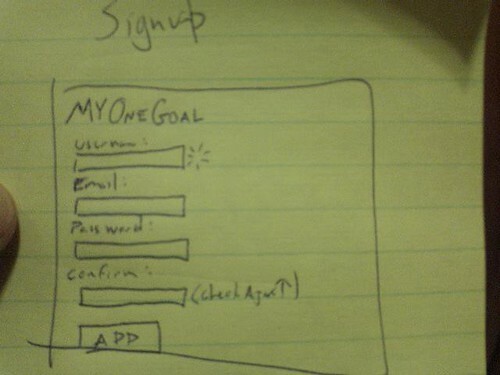 Is this a perfect app signup? Photo by kastner on Flickr. A selection of 10 links for you. Aren’t they pretty? I’m charlesarthur on Twitter. Observations and links welcome. Brett Howse likes it a lot. Apart from the lack of ports. And also.. The hardware is overall very good. Where the Surface Book is let down though is on software. It’s kind of ironic that the hardware is well done but the software can’t keep up when you consider Microsoft is first and foremost a software company, and one that has only been in the PC market for a couple of years at that. But there have been a lot of issues with software. When the Surface Book first launched, it suffered from display driver crashes along with hue changes and flickering on the screen when doing certain tasks. Luckily these issues seem to have been corrected with a firmware update issues on November 2nd. But there are still outstanding issues. The fact that you can’t close the lid and expect the laptop to actually go to sleep is a terrible bug. Leaving the Surface Book unplugged but sleeping is going to result in a dead battery. Just yesterday, I closed the lid on the Surface Book, only to notice the fans had kicked in and it was very hot. I find the coexistence of a laptop that can turn into a tablet (Surface Book) and a tablet that can turn into a laptop (Surface Pro) suggestive of a “let’s turn this ship around any way we can” approach. Also, the Surface Book sure is pricey. Google faces a fresh round of European Union questions about its Android operating system for mobile devices as regulators quizzed rivals and customers over applications for maps, e-mail and other services. The EU wants to know whether Google Maps for phones has supplanted portable or in-car navigation devices, such as those produced by TomTom NV and the HERE unit of Nokia Oyj, according to a document sent to companies and seen by Bloomberg. Officials are also seeking data, such as user numbers, about downloaded or pre-installed mapping apps on devices, as well as costs mapmakers face to produce a mobile-ready app. Wonder how long that one will take to reach any decision. 2017? 2018? Google points to the number of online price aggregators — sites that collate retail prices elsewhere on the Internet — born in Europe: 180 between 2008 and 2014. The EU’s charge sheet, or statement of objections (SO), “focuses on a handful of aggregators that lost free Google traffic, but ignores many that gained traffic,” Google’s lawyers wrote. Google says it drove 20bn “free clicks” to these aggregators in Europe over the past decade. More critical to Google’s defense is the argument that online marketplaces, like eBay and Amazon, should be considered peers to Google’s shopping service, a position at odds with the EU, which charges that these merchants are “irrelevant” when it comes to price comparisons. Google’s lawyers claim, using internal data, that Web visitors prefer merchant links over aggregators and go directly to Amazon for product searches. (They do.) Google also argues that these giant merchants consider the smaller price aggregators as rivals as well — in the response, Google cites Amazon SEC filings where the e-commerce company lists “comparison shopping websites” and “Web search engines” as competitors. Ergo, Google contends, the EU should see them that way too. And echoing the company’s internal note to the charges in April, Google spells out how Amazon and eBay are far more dominant as online retailers in Europe than Google’s service. Pretty much all these points of Google’s were rebutted thoroughly by Foundem (a price aggregation service which complained to the EC) in June. There’s a big gap in Apple’s pro app lineup, with Aperture being retired along with iPhoto. iPhoto’s replacement is the Photos app, but there is no Aperture replacement yet. What better device to introduce a Photos Pro app than a giant-screened iPad Pro with a pressure sensitive Pencil? Likewise with Final Cut Pro X. There’s no reason to make it iPad Pro-only, but it would certainly shine on an iPad Pro. This is similar to Macs: sure you can run Photoshop or FCP X on a MacBook Air, but they really shine on a MacBook Pro or Mac Pro. I discussed this at length in my post “There’s No Such Thing as an iPad App“. So why would Apple release an iPad Pro without its own pro apps? Matching people to locations is hard — there are more things to account for than might be feasible to code into a human understandable model. Although today we’ve managed to keep things simple and are missing a purely machine learning driven parameter from our search, I’m more than convinced that in the very near future we will need to resort to AI to help guide people’s search into where to live (our first tests are quite encouraging). All and all we’re all just inefficient computational machines running on wetware and largely biased by evolutionary adaptations more suited to the hunter-gatherer era, so getting AI involved in our next wave of migrations might not be such a bad thing. [Primer CEO] Kamo Asatryan may very well be one of the best kept secrets in the startup ecosystem. He’s one of a small handful of people who have observed hundreds of mobile apps, thought deeply and scientifically about their mechanics, and determined what they could change to grow faster. To turn things around, Asatryan tested a radically different approach: assume that users who installed the app already understood the need to provide their location data. This allowed them to axe the long-winded welcome flow and make the permissions request the second screen. The text was changed to say that users needed to “Enable Location Permissions” (making it clear that it would be for their benefit), and they were literally not able to move on from the screen without saying yes. This sounds risky, but after the shift, 95% of users said yes and went on to a much better product experience. With big data comes big noise. Google learned this lesson the hard way with its now kaput Google Flu Trends. The online tracker, which used Internet search data to predict real-life flu outbreaks, emerged amid fanfare in 2008. Then it met a quiet death this August after repeatedly coughing up bad estimates. But big Internet data isn’t out of the disease tracking scene yet. With hubris firmly in check, a team of Harvard researchers have come up with a way to tame the unruly data, combine it with other data sets, and continually calibrate it to track flu outbreaks with less error. Their new model, published Monday in the Proceedings of the National Academy of Sciences, out-performs Google Flu Trends and other models with at least double the accuracy. If the model holds up in coming flu seasons, it could reinstate some optimism in using big data to monitor disease and herald a wave of more accurate second-generation models. I wrote about the failure of Google Flu Trends in March 2014; in 2008 it had claimed 90% correlation. Google said then it would “welcome feedback”. The old data is still available. With last week’s release of Crucial’s BX200 SSD, a drive that features TLC (triple-level cell) NAND, it’s time to shine a light on this burgeoning segment of the SSD market—especially as vendors happily quote numbers that would have you believe that these SSDs perform just like any other. Most of the time TLC SSDs perform quite well. But copy a large amount of data to a TLC drive, and part way through the operation you’ll see something discomforting—a startling drop in write speed. With some drives it’s relatively mild, but in the case of many recent TLC drives, the drop is so drastic you’ll wonder if the SSD is dying. It’s not, but you may wish it was. While this is true, it turns out you’ll only hit the problem if you’re transferring more data than fits in the disk cache – which could be 3GB or more. Still, a subtle gotcha. Speaking at the company’s Future Decoded conference in London on Tuesday, Nadella, who took the reins at Microsoft over 18 months ago, demonstrated the power of Windows 10 and gave us a glimpse into what he does and how he works on a day-to-day basis. Using Delve — an Office 365 app which automatically tracks a user’s activities throughout the week by monitoring calendars, emails and the other productivity tools — Nadella showed the audience that last week he spent a total of 16 hours in meetings, well within his goal of under 20 hours per week. Nadella failed to meet his goal of spending less than nine hours per week on emails, clocking up 9.6 hours in the past seven days. He also fell short on the time he wanted to spend focusing – which he described simply as “time for work.” Nadella considered himself “focused” for only two hours last week, just half of his assigned goal. Notice how he didn’t show us what devices – and in particular phone – he uses. (Sure, it will be a Lumia, but which?) The “iPhone Pro” is just an iPhone loaded with Microsoft software. Puzzled by how a machine measures your “focus hours”. How does it know? Marcien Jenckes, the executive vice president of consumer services for Comcast Cable, told Tech Insider in an interview last week that Comcast isn’t working on an app for the new Apple TV. If American customers were that satisfied, they wouldn’t be buying set-top boxes and TV sticks by the million. This entry was posted in links and tagged antitrust, apple, apps, bigdata, design, flu, google, ipad, microsoft, ssd by charlesarthur. Bookmark the permalink.